Before you dismiss the thought out of hand, allow me to make the case, present the evidence, as it were. 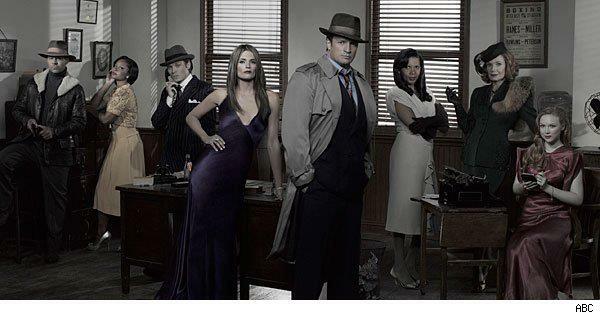 “Castle” has all of the elements of a well-done show–the writing is razor-sharp; the cast clicks individually and together; the production values (from the palette to the music) are consistently good; the camera work and the direction fresh and lively; story arcs, over a season, one episode or several, are nicely-paced and none too confusing; the characters interesting and compelling, as well as dynamic, that oft-forgotten aspect of individuals who grow and change as they experience their weekly adventures. The thing that this show has going for it, though, is the manner in which it stands out. It is smart and fun. It is not your run-of-the-mill procedural. It has a chemistry in the characters not found in similar shows. And it has accomplished something remarkable. What’s that you say? Slow down. We’re getting there. It is smart and fun. The writing for the show is witty; there is humor in the pop culture references and snazzy dialogue. From Season 2’s Halloween episode, “Vampire Weekend,” look at this opening scene. The music in the background sounds similar to the theme for “Firefly.” Castle steps into the room wearing a costume that should remind you of his character Malcolm Reynolds; he’s eager to see his daughter’s reaction. Alexis Castle: What exactly are you supposed to be? Alexis Castle: Ok, A: there are no cows in space. B: didn’t you wear that like five years ago? Alexis Castle: So, don’t you think you should move on? To the viewer who isn’t a fan of this short-lived Whedon masterpiece, the humor and snark of Castle’s daughter work very easily. It’s a nice, light tone to begin this horror-day episode. To the Whedonites watching, it’s a single, brilliant moment that makes one laugh and reminisce at the same time. The music and the costume just add to the layers of the joke, smart and subtle. Scenes and storylines like these abound in the show. There have been parodies of zombie films, a killer Santa, time-travel theories, an actress who follows the two leads as one of Castle’s books is turned into a film, even a sci-fi convention murder that takes place among actors from a short-lived cult hit TV show. When the police don their appropriately labeled Kevlar vests, Castle dons his own, WRITER boldly printed across the chest. And much like the Superman in “Seinfeld,” the Han Solo in Carbonite in “Firefly” or the pineapple in “Psych,” each episode has Detective Kevin Ryan carrying a copy of one of Castle’s books. It is not your run-of-the-mill procedural. There is a delectable smorgasbord of crime shows on TV these days. And while most have one or two elements that separate them from the pile, “Castle” goes even further. The consultant as a type is nothing new. “The Mentalist,” “Monk,” “Psych,” they all have super-observant, uncannily deductive leads helping to solve crimes. There are even two current iterations of Sir Arthur Conan Doyle’s Sherlock Holmes (successfully) gracing our screens. Richard Castle flows against this tide. He is neither manipulative nor overly perceptive. He is well-read and observant, yes, but he works the cases with his cohort, figuring out the mystery in concert, not racing ahead of these supposedly seasoned investigators. He tests theories and ideas out loud. He thinks things through, backtracks when he is wrong, and talks to his partners. There are no fancy digital screens or Star Wars-esque holographic projections to piece together evidence. There is a white board, with photos and lists of evidence and details, handwritten. There is no music video montage, à la “CSI,” to show the crime scene techs and medical examiners working diligently to unearth some hidden clue. There are long talks in front of said white board, heads brainstorming before hitting the pavement to investigate, à la Lenny Briscoe. No whiz kid computer geniuses forever clicking into database after database in some hyperlink labyrinth. There are manila folders and analog crime scene photos. The crimes are interesting and sometimes clever, avoiding the overly dark of “Criminal Minds” and the visceral, prurient themes in “Law & Order: SVU.” There is, however, a lovely espresso machine for the squad room, purchased by Castle, because really, how much bad coffee can our champions be forced to swill? Another thing going for this show? A group of characters whose personal lives are an integral part of the story (not always so common among procedurals, nor so seamlessly integrated). It’s easy to point out the presence of Castle’s mother and daughter, a little domestic drama to keep things balanced. We could discuss the womanizing habits of Esposito or the newlywed status of Ryan. But what is its greatest accomplishment? (SPOILER ALERT!) The relationship between Castle and Beckett. Fraught with sexual and romantic tension (surely our heroes will come together!) throughout the first four seasons, there was a “Will they? Won’t they?” build in every scene together. And when it eventually happens, unlike “Moonlighting,” in which the finally united couple zapped the sizzle; unlike “Friends,” in which the on again/off again dynamic of Ross and Rachel just ended up boring this viewer, “Castle,” pulls it off gracefully and emotionally. When, at the end of Season 4, Beckett and Castle finally get in sync, you breathe a sigh of relief and let out a hearty “This is it! This is right!” It is the inevitability of Niles and Daphne, of Buttercup and Westley, of Marshall and Lily. The timing of it is like clockwork (not too long like “Friends”) and the tension, so palpable because of their chemistry, translates easily into tension navigating the workplace and their relationship with this new dynamic. The writers and the actors have managed to keep that energy and pressure as they explore their first weekend away, hiding the relationship from their coworkers and the baggage of parents and past relationships. The successes of the show are many. Its execution, its drama, its humor, all wrapped up in a package that includes a free solved crime every week, have made it a fan favorite. 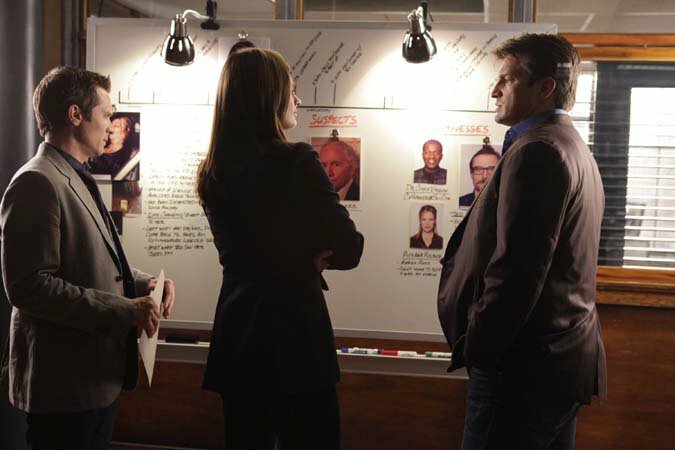 More importantly, with its accomplished cast and talented writing, with its turn away from flash and music videos, , “Castle” has become the best procedural on television that is anything but. Next Article It’s got a funky beat, and I can really picket to it! I watched Castle by chance the other day when nothing else was on, and I LOVED it! It’s one of the few shows on that I consider appointment TV these days! I hope you stick with it, the pay off is worth it!